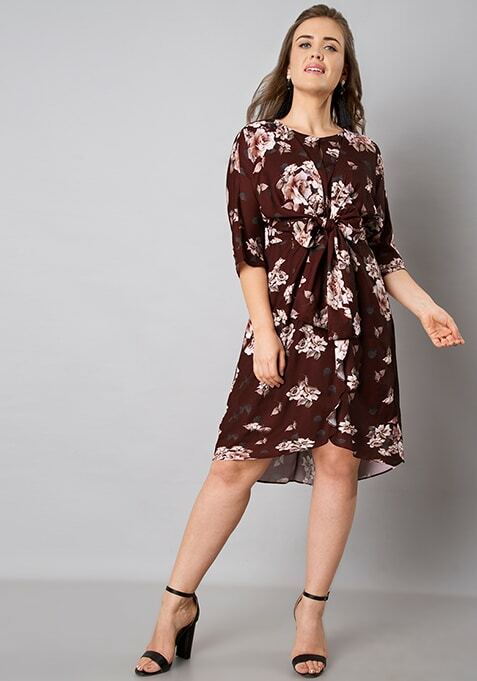 Soak up the summer vibe dressed in this super stylish, oxblood dress. Made from soft and flowy georgette, this dress features floral print all over. Work It: Pair this beautiful dress with strappy flats and wear subtle make-up to look smart.